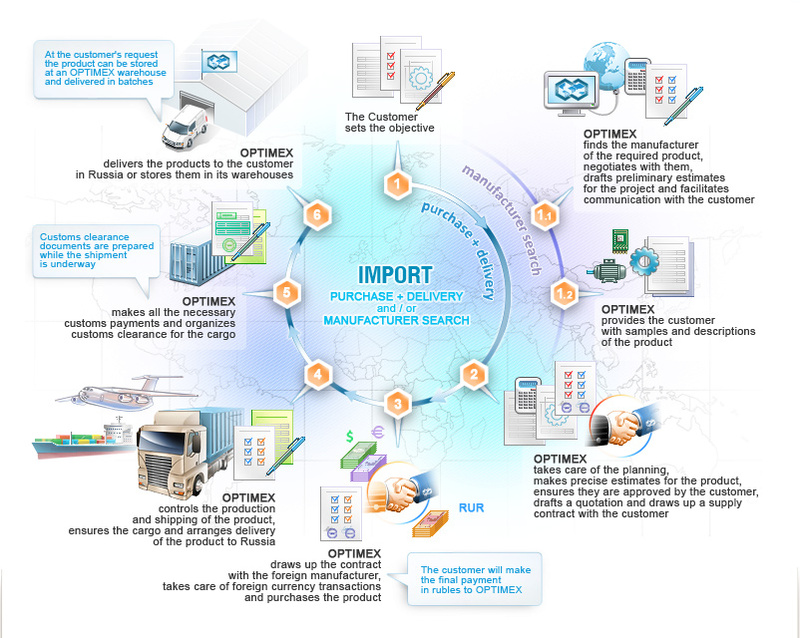 “OPTIMEX” llc is a general-purpose industrial distributor. Transparency and accessibility are the principles, on which our commercial offer is based. FEA Outsourcing by OPTIMEX means supplying imported equipment, materials and component parts, finding a foreign supplier or a product according to your specification, exporting your goods to a concrete buyer. 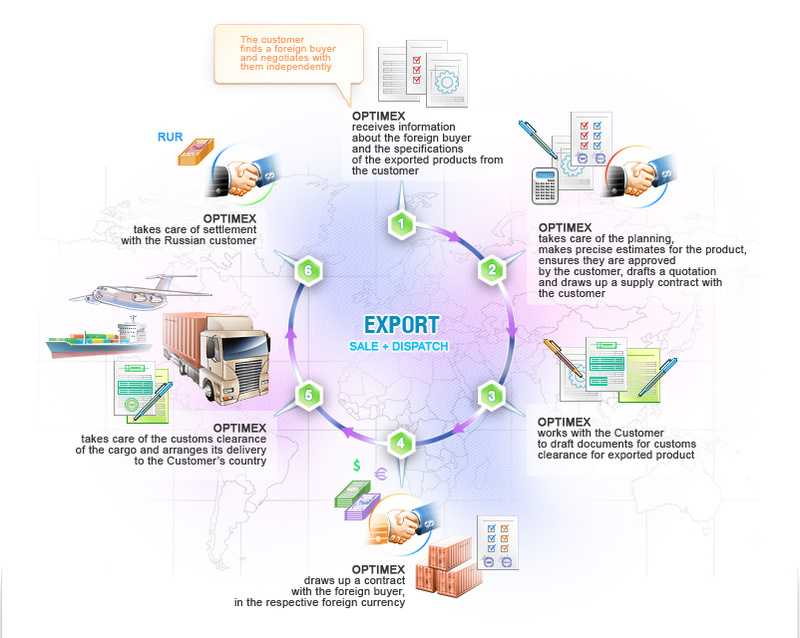 “OPTIMEX” llc is your reliable foreign trade agent! © 2009—2019 “OPTIMEX” LLC. All rights reserved. we will confirm obtaining query on your e-mail. Our expert will surely contact you soon. We ask you to fill the allocated fields. Error of sending of the message!